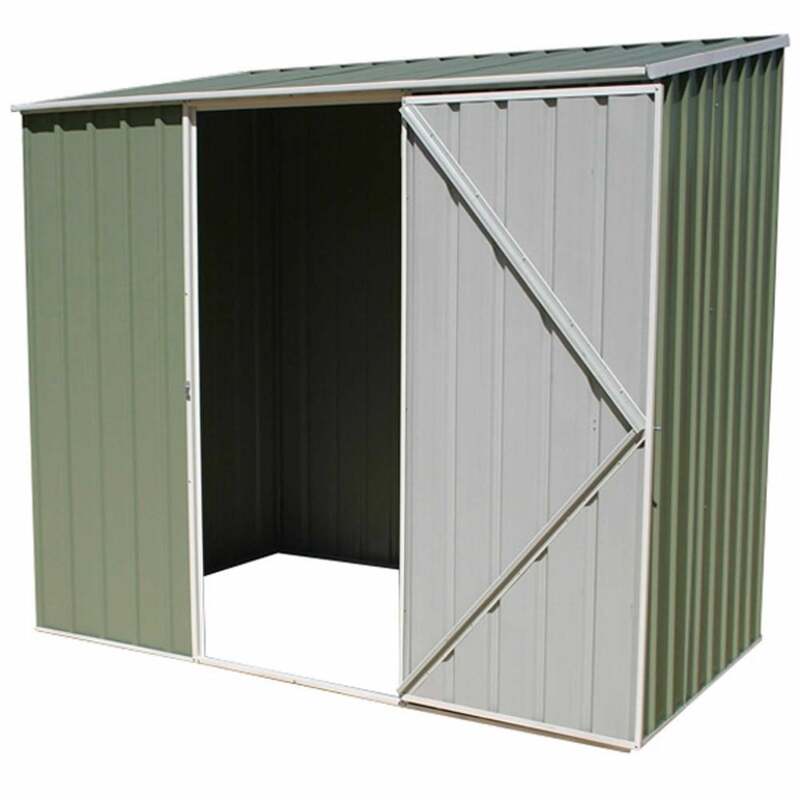 Mercia 7 x 3 Space Saver Metal Shed in Pale Eucalyptus: The Mercia 7 x 3 metal shed would make a great addition to your garden space and comes in the shade pale eucalyptus green finish ideal for blending in with your garden. The space saver metal shed is built using easy to construct Snap-Tite assembly system for fuss free installation. The 7 x 5 Mercia shed has a pent roof to prevent rain water collection which helps to prevent weather damage and rust. The metal outdoor shed includes a sturdy braced single door with a pad-bolt for additional security when not in use.